We all know how important good oral health is, and we do our best to keep our teeth and gums clean. But how do the professionals do it? In this article, we’ll let you in on the secrets to the perfect set of sparklers. OK, this might sound obvious, but one of the most important aspects of brushing your teeth like a dentist is to do so regularly. At the very least, you should be brushing twice a day; most people prefer to do this in the morning and in the evening. 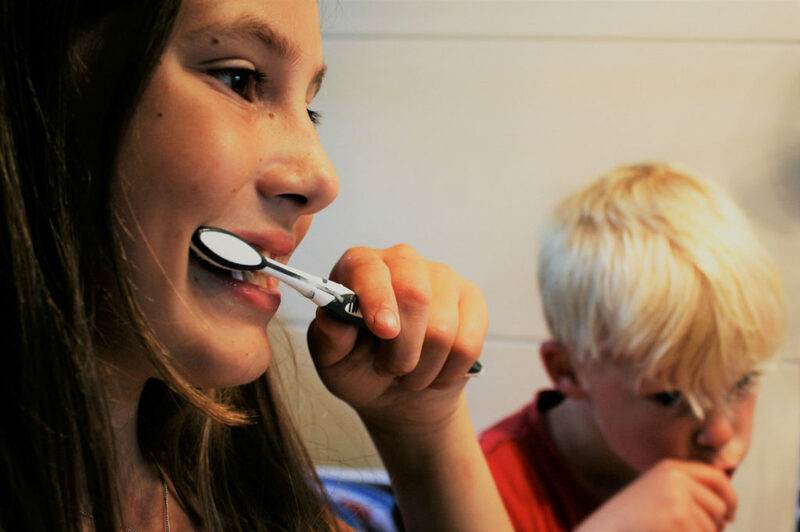 Ideally, it’s best to brush teeth after every meal, but for most people, this isn’t practical. If you do have the chance to give your teeth a going over during the day – perhaps during a lunch break – this can really help to promote good oral health. When faced with so much choice, it can be difficult to know which toothbrush to select. There are a few factors to consider. For most people, a soft-bristled brush is best. Most of us gravitate towards the medium and firm brushes, believing that they offer a superior clean. In actual fact, they could be doing more harm than good, as they are abrasive on the teeth and gums. Soft brushes used appropriately and regularly are great at removing plaque, without causing unnecessary damage to the gums. Ultimately, choose whichever brush is the most comfortable for your mouth! Another important component of your regime is the toothpaste you use. Opt for one that contains fluoride, as this is especially useful in promoting strong and healthy teeth. You don’t need whitening toothpaste to keep your teeth looking sparkly. These can actually be too abrasive, which in the long run diminishes the appearance and function of your teeth. Don’t forget that natural variation in tooth colour does not always indicate poor health! Some people may choose a sensitive toothpaste. 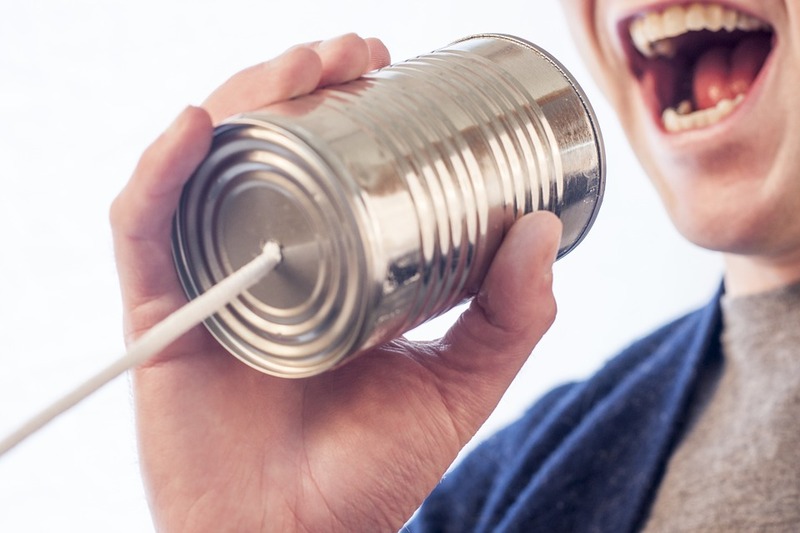 This is perfectly fine; while claims about repairing sensitive teeth should be taken with a grain of salt, the mild formulations are a good choice for people who would otherwise struggle to keep up their oral hygiene regime because of sensitivity. Make sure to get every angle! Selecting a brush with a smaller head allows you to get right into every angle of your mouth. Don’t forget your back teeth, the backs of all teeth, and working into the tight nooks and crannies. Spend time working in circular motions to massage plaque and debris away from all of your teeth. Many of us tend to overlook the teeth and gums when brushing our teeth. These areas need attention too, so don’t forget to clear debris from the gums, gently brush them, and give your tongue a going over, too. Beware of brushing too hard on the gums, however; they are relatively delicate and don’t vigorous cleaning. If they bleed, you’ve gone in too strong! Not everyone enjoys flossing, but it is very important. Using dental floss allows you to clear debris stuck between the teeth, that can ultimately cause plaque, tooth decay, and gum disease. What you might not know is that it’s best to floss before brushing your teeth. This ensures that all the debris removed from the teeth is brushed or rinsed away. To fully rinse away debris and plaque, prevent bacteria growth, and freshen breath, it’s best to use a mouthwash. Look for one that has specific antibacterial properties, but don’t be drawn into claims about whitening or enamel restoration. A quick brush won’t cut it! We recommend taking your time, flossing between the teeth, brushing every part of every tooth, massaging the gums and tongue, and performing a good swirl and rinse with mouthwash. In terms of timing, we recommend once in the morning, once in the evening, and if you can squeeze another one in after lunch – go for it. Try to wait an hour after eating a meal, as brushing too soon can damage the enamel of your teeth. An electric toothbrush isn’t essential, but it can help you to get a deep clean. You’ll certainly feel a difference in the smoothness of your teeth, at least initially. You needn’t choose an electric brush with endless fancy features; one with a basic oscillating head is more than sufficient. Something to remember is that when using an electric brush, you shouldn’t push too hard. Some brushes are built with a pressure sensor that tells you if you’re putting too much pressure on the teeth. If a model with this feature is in your price range, we’d recommend it. As much as it’s important to clean your teeth thoroughly and regularly, we would advise caution. Be conscientious, but not overly firm. Your teeth are strong and built to last, but over-enthusiastic brushing can degrade tooth enamel. Similarly, gums are designed to be handled with care; if you’re in pain or bleeding, go easier. Don’t be tempted to overcompensate for past mistakes by going too strong in the future. If you miss a brushing session, don’t worry! Catch up when you can, and complete your regime as usual. Even dentists know that a professional clean is worthwhile from time to time. A dental hygienist has the tools, knowledge, and expertise to give your mouth a thorough service. Schedule in an appointment every at least six months to keep your teeth sparkling, and visit more often if you’re able to. There you have it! Eleven excellent tips to keep your teeth clean and healthy, just like a dentist! 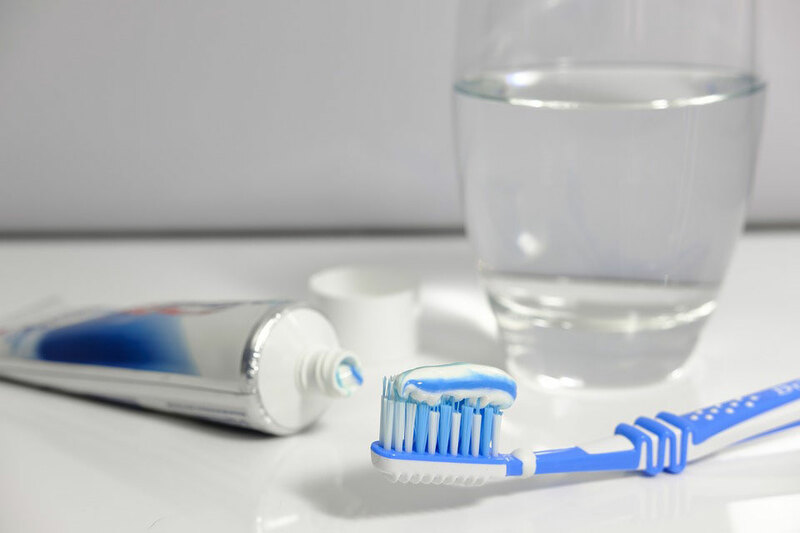 While you’re here, check out our post about common mistakes when brushing your teeth, and if you’d like to speak to one of our friendly team, call 416 766 2853.